Next Century Publishing, 9781629039060, 216pp. Michael Murphy was given the greatest gift that anyone can be given: unconditional love. Then he thought he had lost it, when his wife, Margot, passed away after a nine-year battle with breast cancer. In this moving tale of love, loss, and redemption, Murphy shares how he learned an extraordinary truth: that love can never die. With disarming candor, Murphy recounts his journey from a destitute, alcoholic, runaway teenager to a successful businessman and passionate philanthropist. 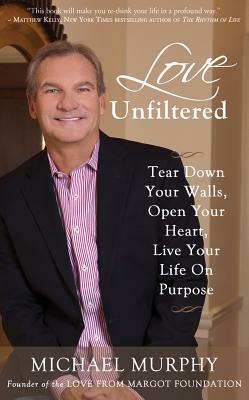 He explains how he learned the wisdom of love, unfiltered by fear, and found purpose in serving others. Touching on universal human experiences such as healing childhood wounds, overcoming fear, dealing with grief, and searching for meaning, Love Unfiltered is a motivating and accessible guide for those seeking a life of balance and fulfillment. It is also a beautiful testimony and tribute to the woman who opened the author's heart and inspired his life's work.